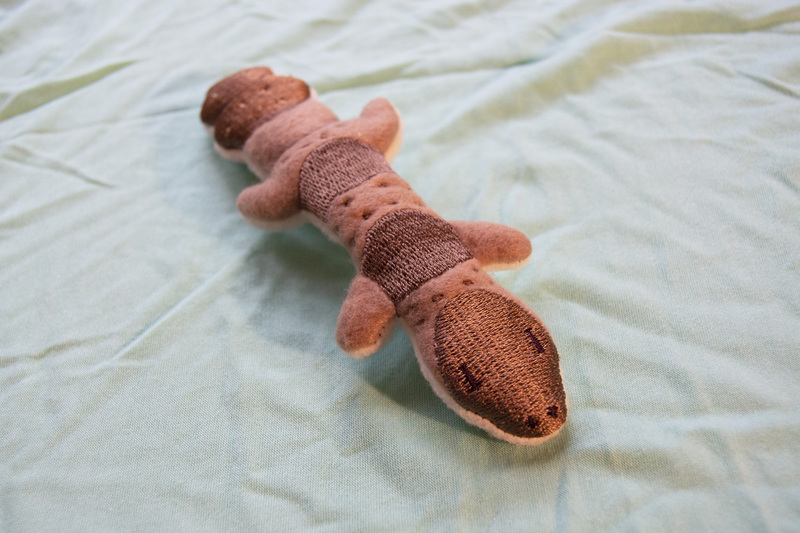 We offer a large variety of hand crafted plushes made by us in our Minneapolis studio, meaning we have the flexibility to create something totally custom for you! We are always open for custom prop projects, so if you'd like one of our items in a different color, or something entirely new, we can craft you something totally custom. 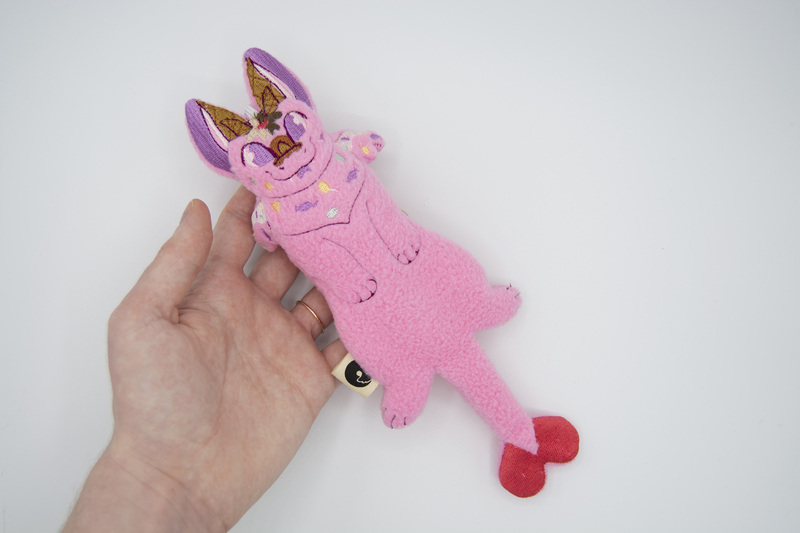 Our price range for custom projects varies, but is anywhere from +$10 for a simple recolor of an existing shop item to ~$50 - $150+ for completely custom small plushes and accessories. Our turnaround time for all small projects is about 3-4 weeks, but if you need your project finished earlier we can do so for a fee, let us know! We LOVE trying new things, please feel free to reach out to us via email with the button below or hit us up on twitter and we'll get back to you ASAP! Custom gummy candies in four different designs. 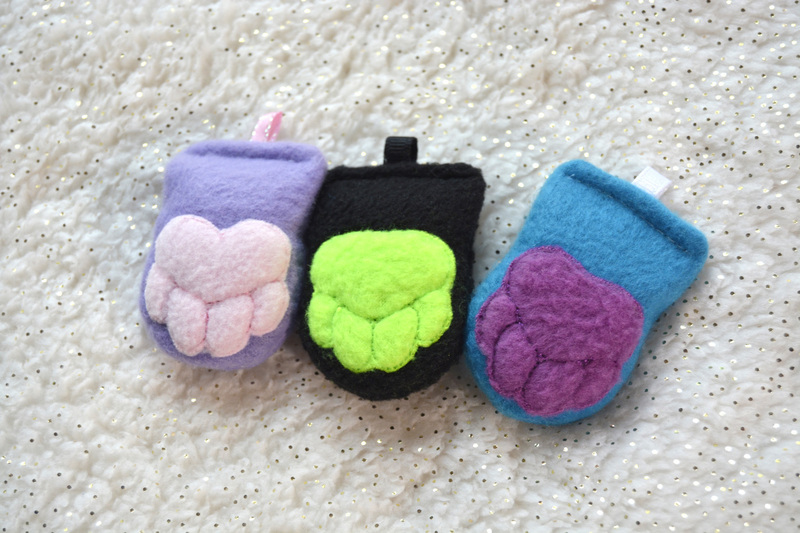 A pair of exclusive plush airpods with embroidered details to be worn with a fursuit. 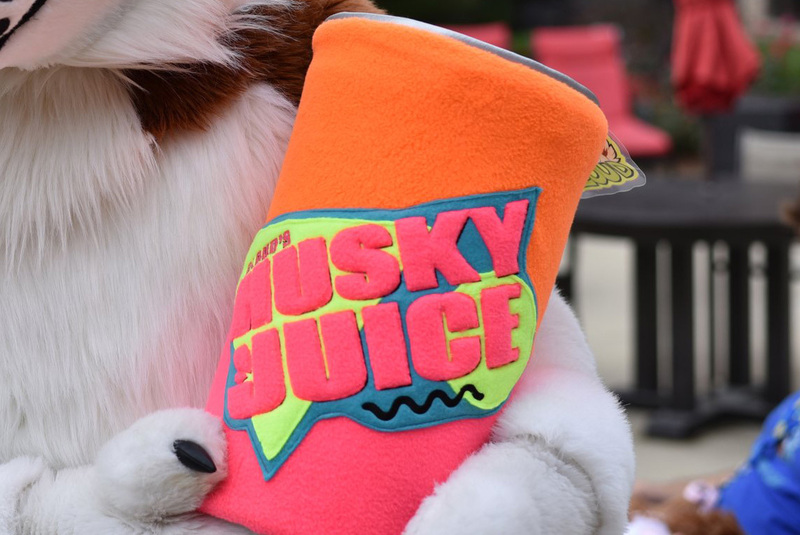 A custom giant soda can prop with a large embroidered logo. Made with UV Reactive neon fleece and metallic vinyl for the top and bottom. Complete with a detailed pull tab top. 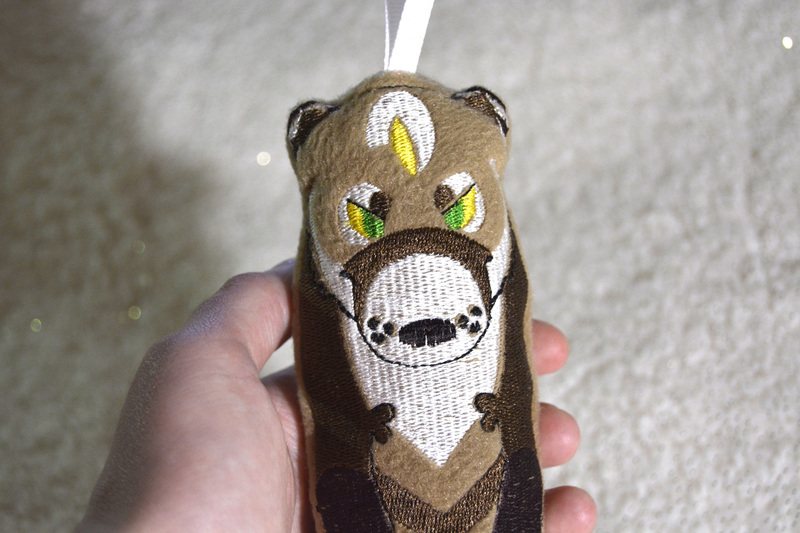 A custom scented plush based off of a client's original character. An assortment of custom colored lucky paw keychains for three clients. 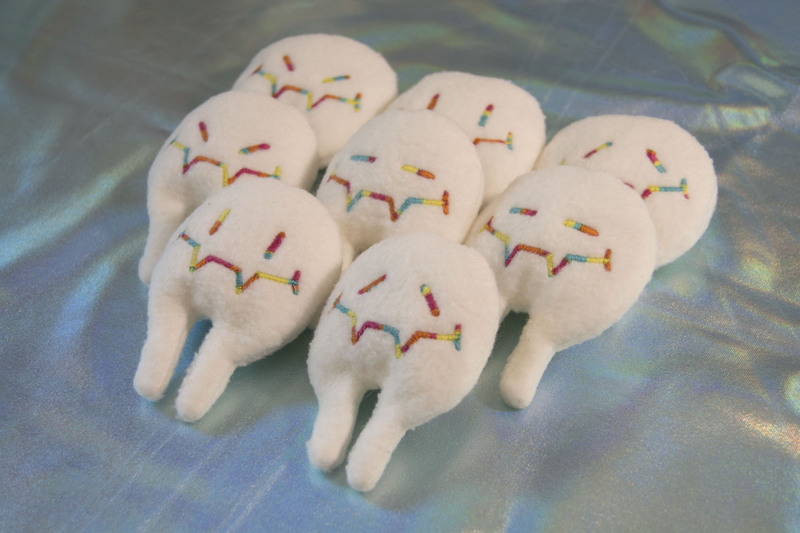 Custom ivory fursuit fleas with varigated rainbow thread to celebrate Pride Month. 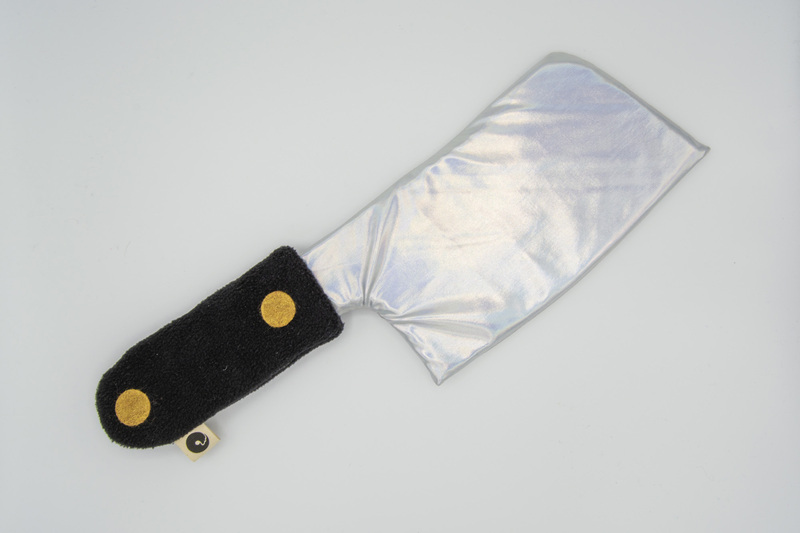 A custom shaped knife commission with silver holographic blade, black fleece handle, and gold rivets. 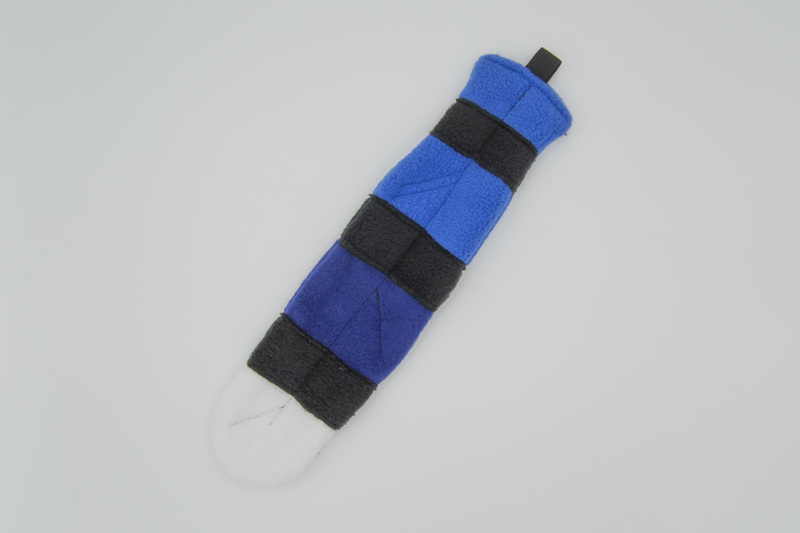 A custom plush feather accessory commissioned to wear on fursuit. 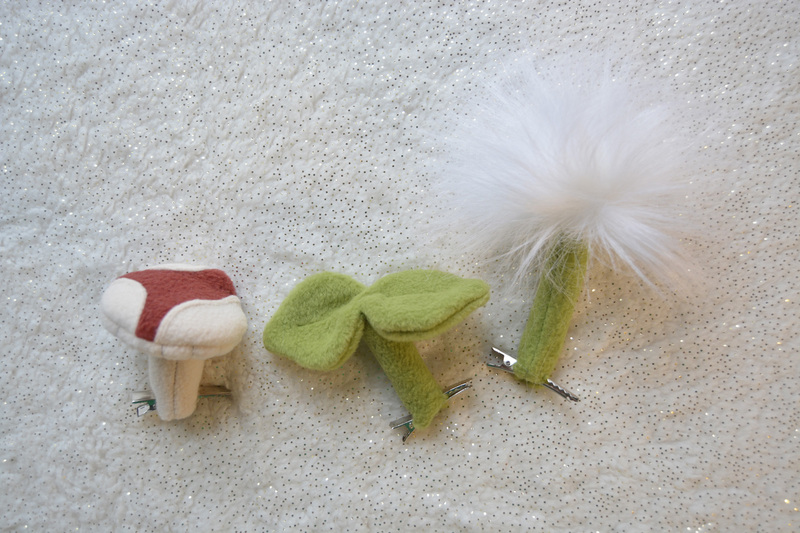 A set of 3 custom plush plant accessories, a mushroom, sprout, and dandelion puff, to be worn on the head of a fursuit. 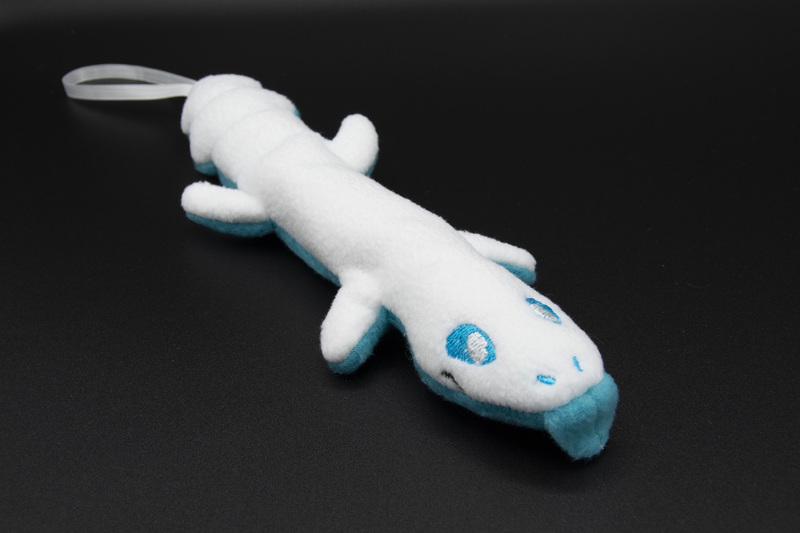 A custom scented leopard gecko/blue tongue skink with a special blue tongue and custom embroidered face. 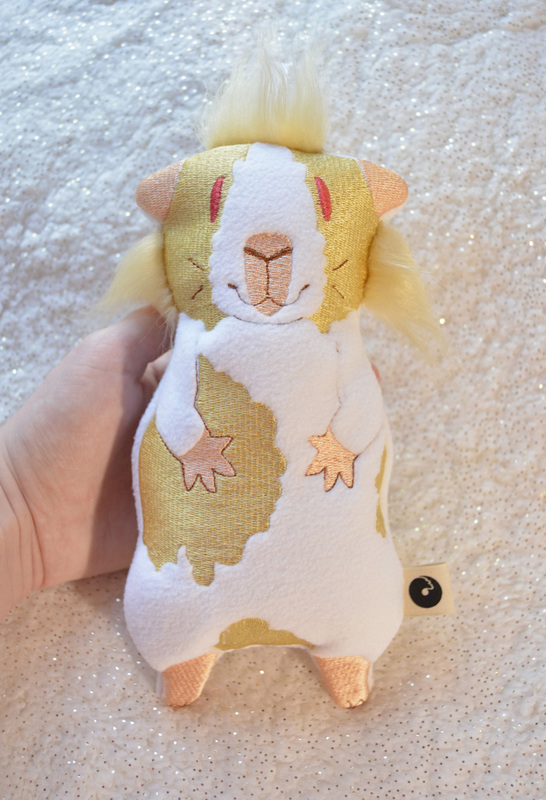 A custom scented plush based off of a clients original character. 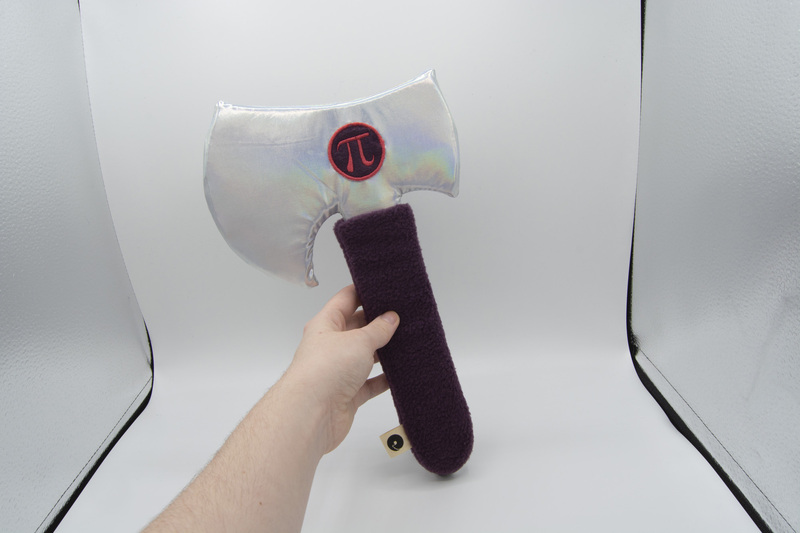 A custom shaped axe commission based on our plush knives. Features an embroidered symbol design with silver holographic blade and dark purple handle. 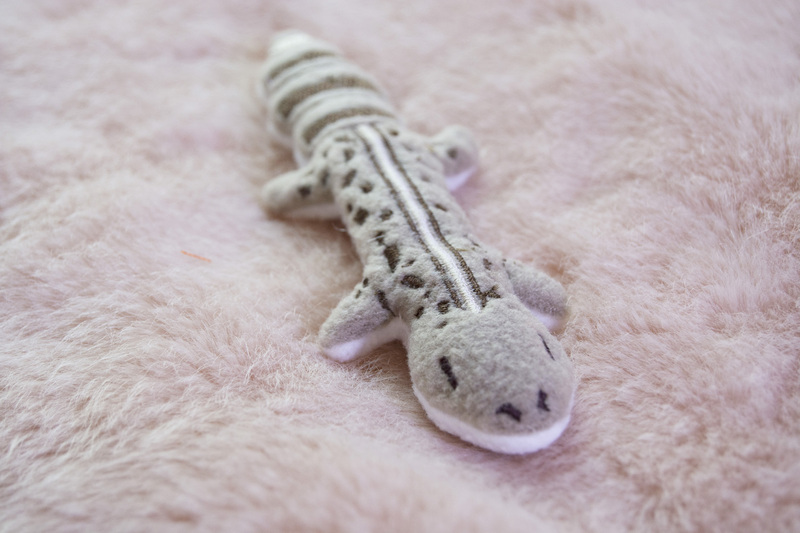 A custom embroidered leopard gecko based off of a client's pet. A custom knife commission with silver holographic blade, brown fleece handle, tan rivets, and a custom embroidered sprout design. 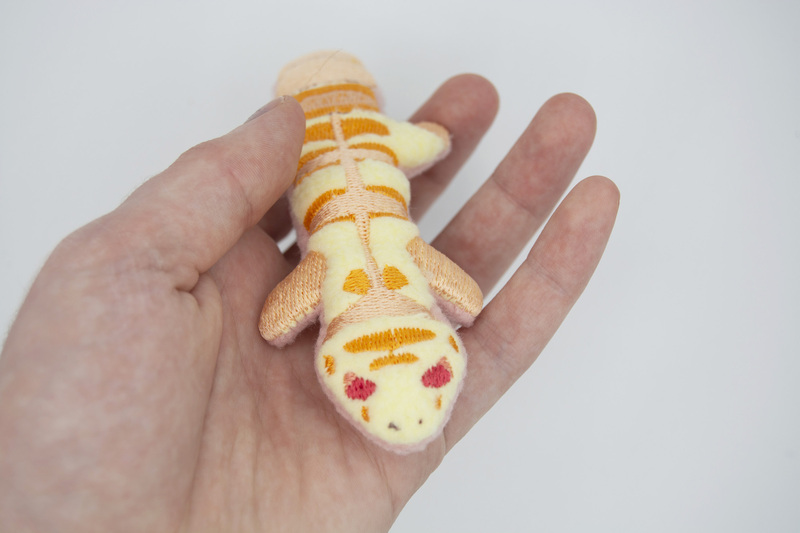 A custom gecko plush based off of a clients plush. 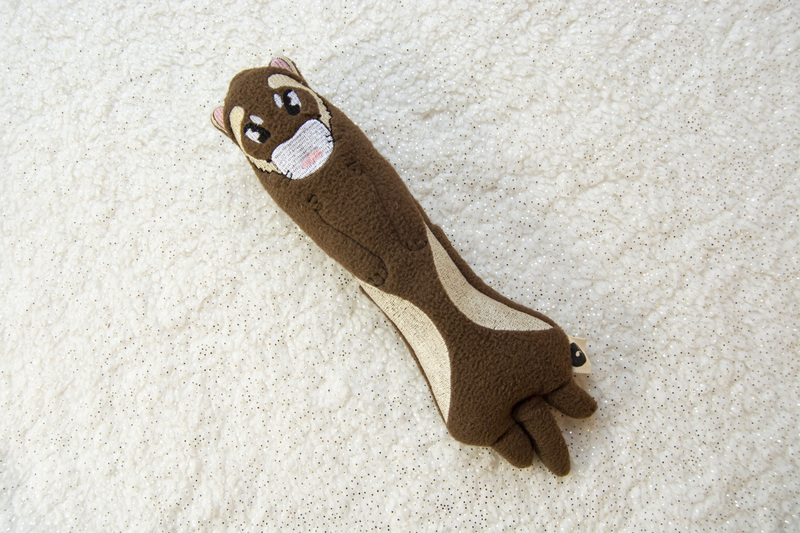 An embroidered custom scented plush with small fur accents, based on a clients pet. 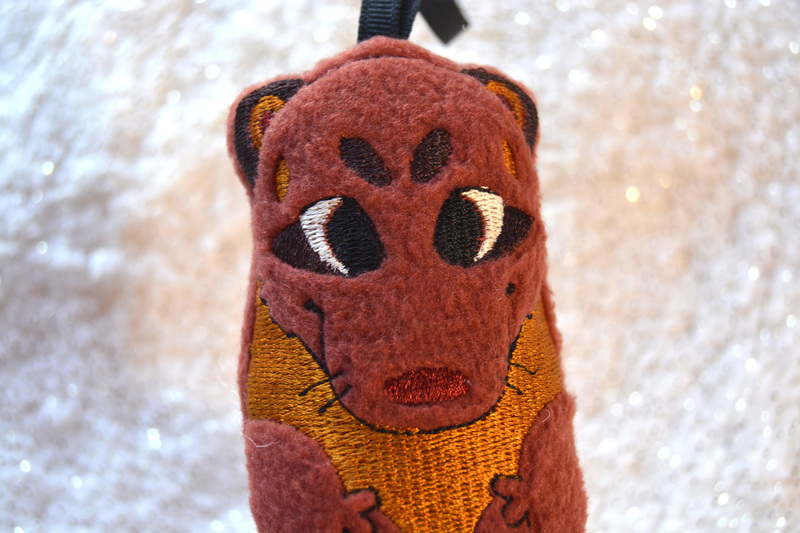 A custom scented ferret based off of a clients original character. 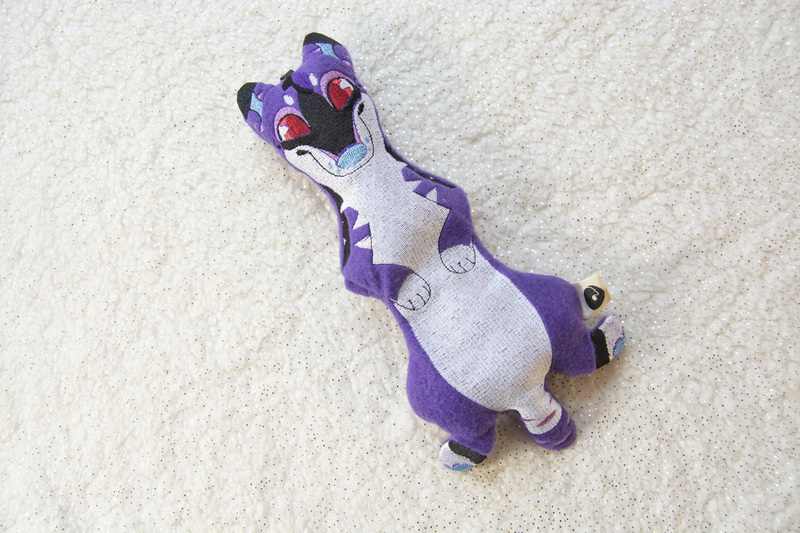 A custom scented plush based off of a client's pet. A custom leopard gecko based off of a client's pet.